The all-new ASUS VivoBook Flip 14 TP401NA-YS02 is a Windows 10 S laptop that's stylish, lightweight and affordable. We love its overall performance which is highly impressive for a $349 laptop. 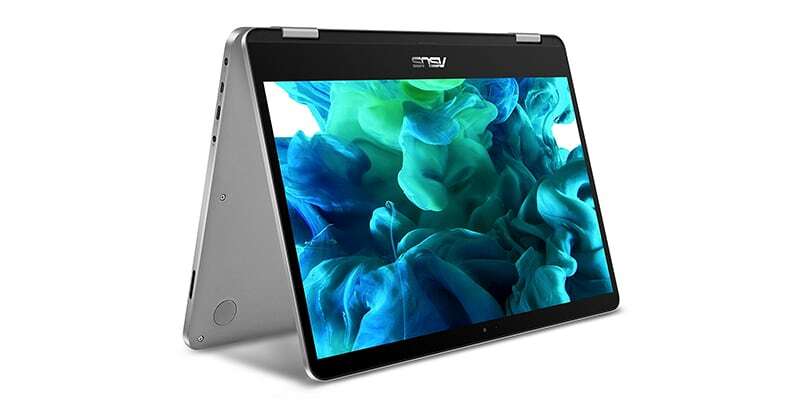 ASUS VivoBook Flip 14 TP401NA-YS02 is an affordable laptop with stylish looks, slim profile, sturdy build and decent tech specs that provides exceptional performance for its price. Over the years, we have began to love laptops from ASUS more and more. ASUS has been paying attention to their laptops’ build quality, packing them with exciting features and making sure to provide great performance – all while keeping the price still highly reasonable. 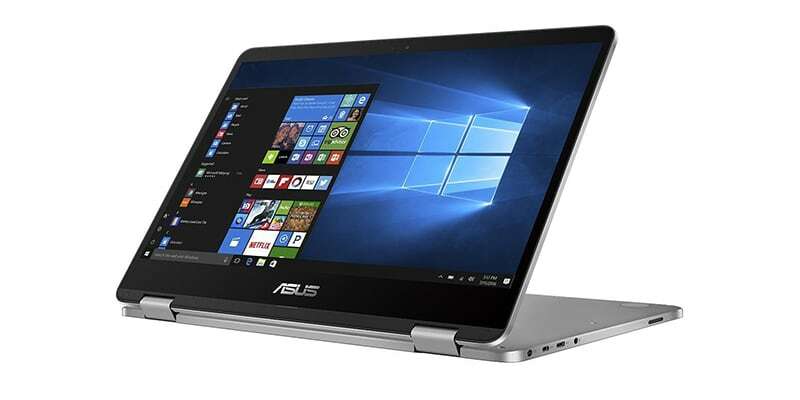 ASUS laptops – both Windows 10 and Chromebook models – are among the bestsellers. Their VivoBook lineup has been undoubtedly a very successful range for ASUS. 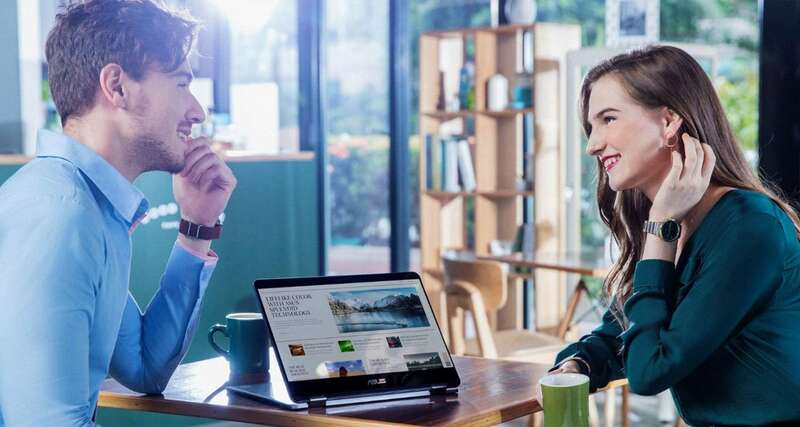 ASUS recently unveiled a range of affordable Windows 10 laptops under their VivoBook lineup and VivoBook Flip 14 TP401NA-YS02 is one of them. ASUS VivoBook Flip 14 TP401NA-YS02 is a $349 laptop which carries decent tech specs and provides highly satisfactory performance. For this price, it makes a great option for anyone who’s in search of a decent laptop without spending too much money. ASUS laptops are well-built and this new affordable VivoBook is no exception. 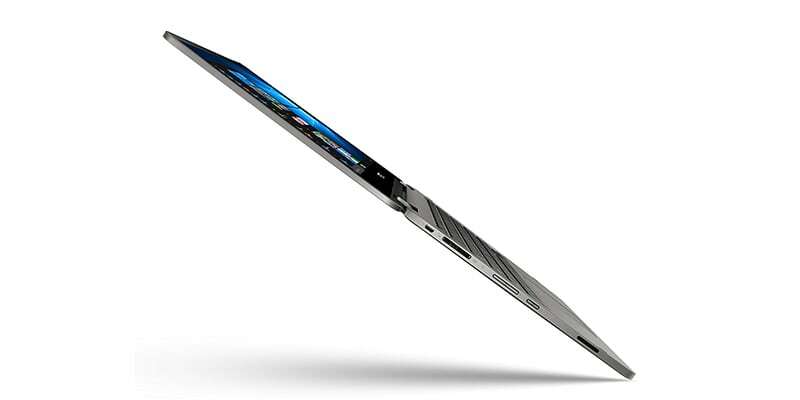 The all-new VivoBook Flip 14 carries nicely curved corners along with a remarkably slim profile of 15.4mm. ASUS has managed to fit a 14-inch display in a 13-inch case and those ultra-narrow display bezels are a pleasure to look at. Those metal hinges of this ASUS VivoBook Flip are sturdy – a must-have for a laptop that’s going to be used in different modes like laptop, tablet, stand and tent. Hinges feel smooth and easy while rotating. The aluminum chassis makes this VivoBook light yet durable. It weighs merely 3.5 pounds (1.6 kg) – making it a wonderful travel companion you can carry everywhere. The keyboard of this VivoBook works smooth. It would have been great to have a backlit keyboard, though. The track pad is almost flawless – with a few signs of freezing here and there. Overall, this ASUS VivoBook Flip laptop is one gorgeous piece of aluminum chassis that’s slim, lightweight, sturdy and durable. Almost full marks for ASUS here. ASUS VivoBook Flip 14 TP401NA-YS02 features a 1.1 GHz quad-core Intel Celeron N3450 processor with Turbo Boost up to 2.2 GHz. 4GB on-board RAM is also present along with a 64GB eMMC storage. The Intel Celeron processor is developed keeping affordability and performance in mind. So manufacturers like ASUS can produce laptops without raising the cost. This Intel processor does a commendable job at providing enough processing power. The 4GB RAM makes sure you have enough room for running multiple apps together. The amount of RAM can not be increased, unfortunately. The 64GB storage is fast but might not be enough if you are going to store loads of data. It’s still a decent amount of storage for the intended class of users of this VivoBook, take students, for example. Carrying a portable hard drive is a good idea if you need more storage. 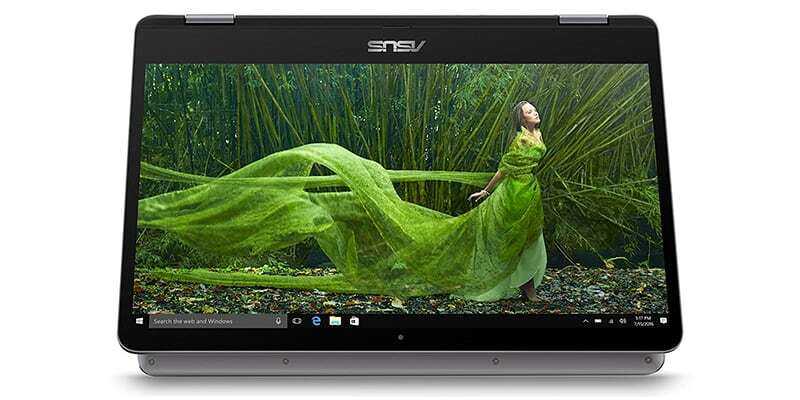 The 14-inch glossy display features a Full HD resolution of 1920 x 1080 pixels and frankly speaking, we thank ASUS for it. They could have easily done away by slipping an HD screen but they have chose not to. The display provides wide-viewing angles of 178° and does a decent job at producing crisp graphics. Moreover, this display features a touchscreen that’s smooth and responsive. To make things even better, ASUS has shipped a stylus pen along. The ASUS stylus detects minute pressure variations – from 10g to 300g and you can hold it at angles of up to 45-degrees. For a $349 laptop, this is really a great deal. In the software department, this VivoBook features the Windows 10 S operating system. Windows 10 S provides the same performance as the regular Home or Pro editions but it only allows you to run apps that are downloaded from the Windows Store. It can be easily switched to Windows 10 Pro if you desire. A 39WHr battery powers this VivoBook Flip laptop and ASUS claims that it allows a full-day usage. It depends on what you call a full-day but you should expect around 6 hours of usage on a full charge. It’s still a fairly decent amount of usage without having to charge the battery again. Overall, ASUS VivoBook Flip 14 TP401NA-YS02 packs-in some really nice tech specs and provides great performance for its price. ASUS has packed this laptop with 1x micro HDMI 1.4 port, 1x USB 3.1 Type-C (Gen1) port, 1x Micro USB 2.0 port, and a headphone-out/audio-in combo jack. A multimedia card reader is also present. It would have been better if there was at least one more USB port but in times when manufacturers are getting rid of ports, we are happy with what we are provided. A dual-band 802.11ac is included to provide seamless wireless connections at great speed. Bluetooth 4.1 is also included to let you connect to other Bluetooth-enabled devices. Powered by a quad-core Intel Celeron processor, 4GB DDR3 RAM, 64GB flash storage and Windows 10 S operating system, this ASUS VivoBook provides surprisingly great performance. For a $349 laptop, ASUS has managed to deliver an affordable laptop that’s stylish, slim and lightweight. We love the overall performance of ASUS VivoBook Flip 14 TP401NA-YS02. Looking at its tech specs and overall performance, this VivoBook is recommended for students, work-from-home users and professionals who don’t need too much power. If you’re not a fan of Chromebooks, this affordable VivoBook serves as one of the best alternatives. If you need more storage, you can have a look at a different model of VivoBook 14 that carries a 128GB flash storage along with a better processor.